Yupp TV is 'TV on the go…, anywhere, anytime'. 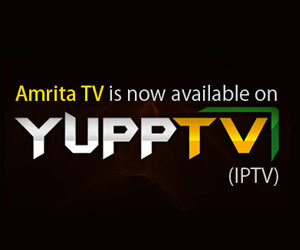 Amrita TV is now available LIVE on Yupp TV with other popular channels in 12 languages. Our presence online is a great leap towards achieving a bigger global audience and also facilitating them with an uninterrupted telecast of their favourite channel.